What is Inspiring Youth TV? Inspiring Youth TV is a show that was developed for Cogeco Television which is a television network in Ontario Canada. The Inspiring Youth Show airs on Cogeco’s YOURTV community channel beginning September 2017 and is currently filming Season 2. So what is the show actually about? I was speaking at an event put on by Halton Industry Education Council (HIEC) for their Men and Career Coaches program. I was one of many keynote speakers that evening and had the pleasure of meeting Stuart Aker who is a Producer at Cogeco TV. He approached me at a later date with the opportunity to do a community show. As we met at an event for youth in the area I suggested we do a show showcasing youth in the area and the idea was born. I was assigned a Tech Producer / Cameraperson named James Spalding and we began work on the show. Check out this Facebook Live video done at the time. 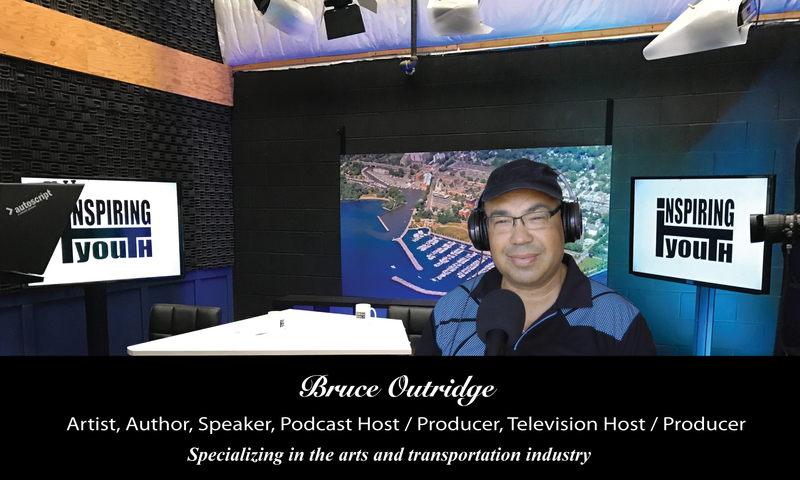 Over the next couple months James, the team at Cogeco, and myself took on the task of filming thirteen episodes that included studio interviews, on-location film shoots, and arranging schedules with multiple guests. The way these programs work is that the host (me) comes up with the show topic, content for the show, and the guests. Cogeco supplies the technical aspect with equipment, studio, and support. A big thank you to Stuart, James, Daniel, Shane, and Michelle for helping out with filming for the show. Filming was completed in various stages and locations. As the only people that may see the show on television are in the Halton area so I took along my own video equipment to capture footage in the studio and on location as well. Click here for the Cogeco Show schedule for the show. So if you are outside of Halton or would like to see background footage including Behind the Scenes video check out the Inspiring Youth TV channel on YouTube. Inspiring Youth TV On YouTube-Click Here! I hope you enjoy the show. Keep an eye out for future episodes of the show, special episodes, and future seasons. It was a great experience for those involved and I look forward to repeating the process in the future.